9 more hours and it's gonna be 2010 already!! May you all have a wonderful and prosperous New Year! Let us embrace all the blessings that the Lord will give to us this coming new year. May we all be safe together with our families. Happy New Year !! See You next year! Oh dear out HK trip is done and Christmas as well but here I am still feeling lazy to work and concentrate on my store. I know it's because I have my sister and her family with us who is on holiday from Sydney and I sometimes babysit their kids. New Year is also coming in 2 more days so I'm still on holiday mode. I've got to help bro as well in looking for this Mopar performance parts online and do some more other offline stuff. I hope you'll all have a great New Year!! Expect lots of photos and stories from me next year when I'm back into my regular blogging mode. Hey all this is just a quick post because I'm still on a holiday mode. I have my balikbayan sister and her family from Sydney so we are always out for lunch out, shopping and more. Our days our so hectic. 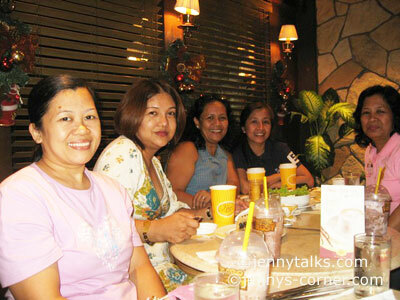 We are also back from our Hongkong Trip from Dec. 21-24, and we all had a blast. The days are filled with going out and exploring Hongkong eventhough my nephew got some allergies and we don;t know what is causing it. We are so desperate to find an allergy relief and fortunately my niece found a cream where she bought at711 store in HK. I have so many stories to tell and tons of photos to share so I'll just keep you updated after the holidays are gone. Have a great holidays everyone !! It's only 2 more days and it'll be our Hongkong trip and we are all excited already most especially my teen nieces and nephew. 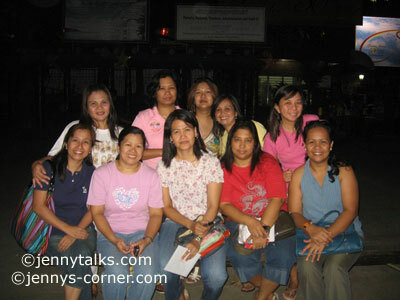 It'll be our 1st time to go to Hongkong Disneyland so we are very excited over it, plus we'll have a mini-reunion there. Right now, I'm already preparing all the things that we'll be bringing. I already bought medicines just in case anyone will get a headache etc. My mom will be with us in this trip and knowing she has a little ailment, we are all praying that she will not get sick as we don't have any travel insurance for her or something like Blue Advantage of sort. 8 More Days till Christmas! Tis the season to be jolly!! Hello all few more days and it’s gonna be Christmas once again and here I am still busy with my Christmas shopping. I was out yesterday and eevnthough it’s not weekend the mall especially the bazaar in Greenshills shopping area is jam-packed with shoppers. Christmas is indeed few days away. Happy Shopping and Merry Christmas everyone!! Hey there guys, I know you are busy as well shopping but not unlike us women you are shopping for your own personal interests. I know you all dig and love your cars and i guess this is the perfect time to reward yourself or your car perhaps with car accessories to give it a lift. If you own Mazda cars, CariD.com is the perfect place to find lots of mazda accessories. From mazda tires, wheels, dashboard, reflectors, covers, car care products, body kits, and even snow plows and snow grips and more, they have it. The easy website navigation can help you find what you are looking for. Check them out today they cater to almost all car manufacturers. 14 more days as of this writing and it's Christmas day already. I guess all of us who celebrates Christmas have already decorated our Christmas trees and even hanged lanterns on our homes. 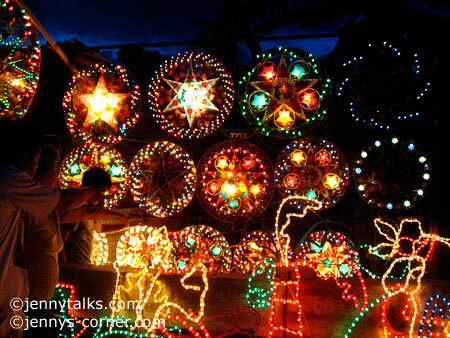 About 2 weeks ago we bought one of this Christmas capiz lantern at a nearby store to brighten up our garage. 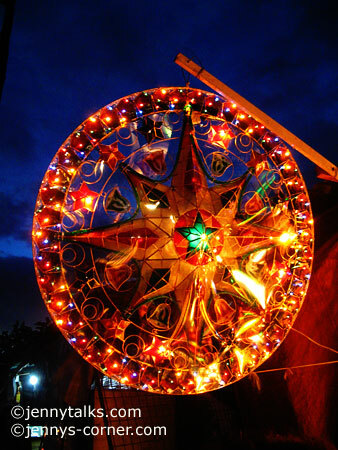 Capiz lanterns are made out of capiz shells with colorful lights inside, we bought a small one for P1,200 and the capiz below is big and worth P5,500. Now that holidays are started to unfold, I'm also slowly drifting to holiday mode. At times I just want to rest and just think about the beautiful things ahead. I also am thinking about SHOPPING because as we all know sale is already left and right attracting Christmas shoppers. I hope next week I can start wrapping all the gifts that I bought so that our mini-Christmas tree will have something underneath. Just in case you didn't know, I've graduated as a Medical Technologist and have passed the board exams in the 80's. Though I regret that I have not practiced my profession and wished that I finished a different course, I have lots of memories while I was studying and most especially during my internships at a different hospitals. I will not forget the times that I used to be a Med Tech intern at the Mental Hospital then now National Center for Mental Health in Mandaluyong where I gained lots of experiences in the laboratory and with the mentally ill patients. There's this one instance where we get to assist our Pathology Prof. in the autopsy of a patient where we almost throw up because of the smell, lol. Those are the days that will stick in my minds forever. My internship days at the St. Martin hospital was also memorable where we get to use high-tech laboratory and medical equipment. There are days where I wish I can still use my profession but with the status I am right now I guess I have given up that profession fully already. I still get to contact some of my former college friends but wish I can see them in the future as well. Wow it's a brand new week for all of us again and I thank the Lord for blessing me with another beautiful day to live. Few more days and it's gonna be the busiest season of the month and right now I'm already getting giddy and my days are getting busier. With my online and offline works, I need to schedule my time so I can do all of them. I also need to clean and purge some of my stuff in the house and in my room. It's my routine before the year ends to give clothes from my closet that I'm not using to my niece or my sister in law. My sister and her family is coming home from overseas as well so we need to clean the house. Mom have already re-painted the gates and some walls. The lanterns and Christmas lights are already hanging and few more stuff are needed to be installed and clean. If only we can have Hubberton Forge lights in the house, then it'll be great for sure. Christmas bug is on me right now and I feel excited and anxious. I can't for it to arrive plus I can't wait for our Hongkong trip with my family. It's the time of the month once again when my hormones are jumbled once again and my days are crappy. I hate it when I have it because I have muscle cramps, bloating, and I'm having literally cold feet. I hate to admit it but I am moody and can have a sharp tongue, I guess most women can relate to me. I'm trying not to drink any medicine to ease the pain that I'm feeling so you can just hear me whine hehe. I guess you already know about our forthcoming trip in Hk since I’ve been talking about it here so often that I hope you are not tired of hearing hehe. I just want to let you all know that we are already excited about it and we are all hoping that we can manage the weather there this December since we heard that it’s winter already. Eventhough there’s no snow, there still reason to worry but of course we need to bring thick jackets for that. Anyway, it is the 1st time that we’ll go on a family trip overseas so it’s pretty special for us. There’s no doubt that a family vacation is important in building more bond with each and experience more culture and great places like at Azul Beach offered by Karisma Hotel where there are lots of things to enjoy as a family. Azul Beach offered by Karisma Hotel where there are lots of things to enjoy as a family. Every family needs to have a break once in a while. Hooray, it's December already and I think we all have every reason to be jolly and excited over the Christmas holidays! I guess you already know why I am excited if you are reading some of my previous posts. I already done my Christmas shopping but unfortunately I am not done yet. You know my list is getting longer as the Christmas approaches and I'm having double time thinking what gifts to give. I have already set up our Christmas tree last night and today at my store. The malls are glimmering with lights and decors.